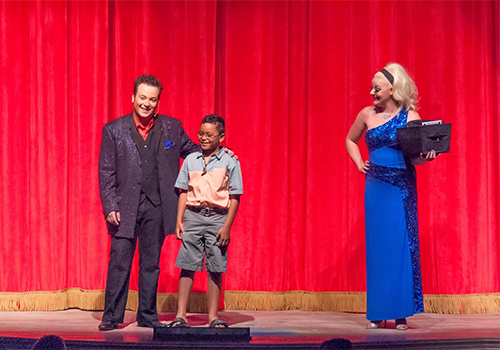 Performed at Memories Theatre in Pigeon Forge, the Magic Spectacular show offers a full afternoon of fun for guests of all ages. 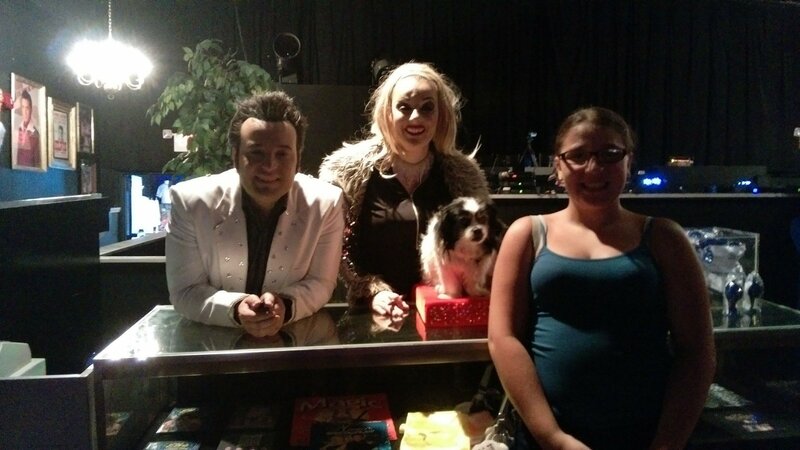 The show is led by powerhouse magicians Steven and Cassandra Best, and features everything from magic and illusions, to comedy and audience participation—making it one of the most family-friendly magic shows in the Smokies and beyond. Ideal for families with children of all ages. Cameras are permitted inside the theater. Don't forget to purchase a souvenir at the gift shop. Purchase snacks and beverages for the show at the concessions stand. 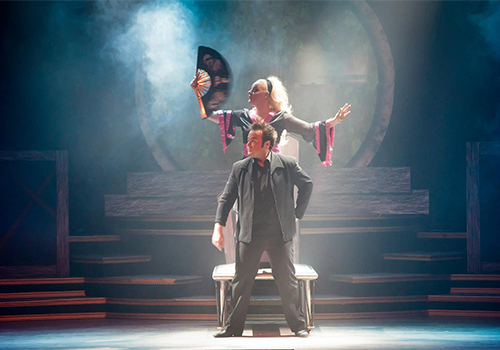 Steven and Cassandra have performed all across the world in over 20 Countries, from heading their own show for five years in Las Vegas, the Entertainment Capital of the World, to command performances in Hong Kong and Thailand. Proud recipients of the Record Setter World Record for mastering the art of Quick Change, Steven and Cassandra performed the most costume changes by a duo in 60 seconds! They have been featured as halftime entertainment performing “Quick Change” at multiple NBA Halftime shows. They have also been invited to perform for TV shows such as “Pawn Stars” and “Top Chef.” Appearances on USA Network, MTV, E! Television Network, FOX, and NBC are just a few of their accomplishments. You’ve seen them on TV now it’s your chance to see them live on stage! 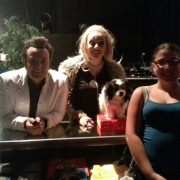 From the moment Steven and Cassandra step out on stage they will bring the audience into the magic! 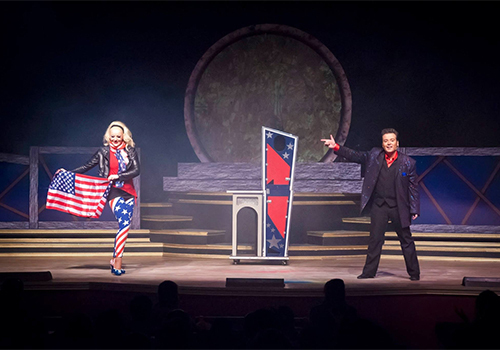 Magic Spectacular features grand scale illusions, sleight-of-hand, comedy, and audience participation making it the most family-friendly magic show in town and great for all ages. It will send your mind beyond belief and have yourself asking the question: "How did they do that?!" 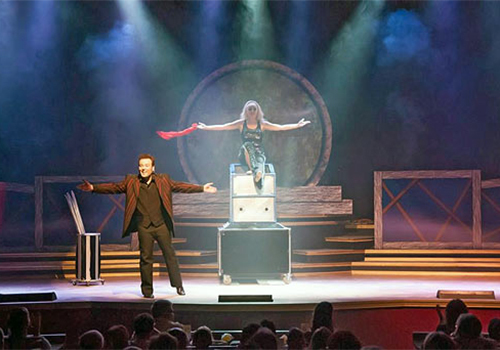 Magic Spectacular is the magic show to see while in the beautiful Smoky Mountains. 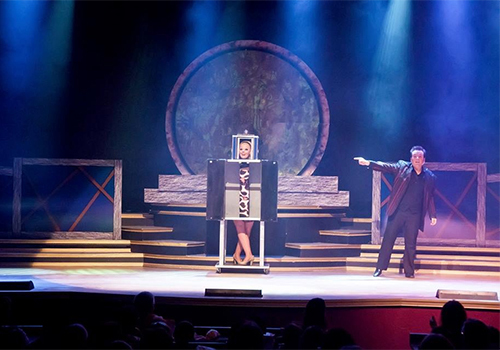 If you're going to see one magic show while in Pigeon Forge, make it the best - Make it Magic Spectacular! Book your tickets now before they disappear! The show is about 90 minutes long. Are food and drinks available at the theater? Yes, a concessions stand is offered.